Shopping for a vehicle should be exciting. 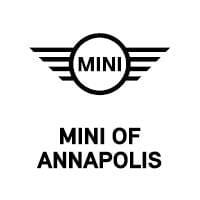 And when you choose MINI of Annapolis as your car dealership of choice, your car buying journey will be more thrilling than you ever imagined possible. With our extensive selection of zippy MINI Cooper models, our experienced financers, and our skilled mechanics, you’ll be equipped with everything you need to find your perfect vehicle. At our Maryland MINI dealer, we understand what it takes to build a lifelong relationship. So, to help drivers in Annapolis, Highland Beach, and Hillsmere Shores get to know us a little better, we’ve outlined all the ways that we can assist in your search for a vehicle. When you’re looking high and low for the car that aligns with your requirements, having access to a diverse inventory is endlessly helpful. And when you opt for our MINI dealership Maryland, you’ll be equipped with a bevy of options that’ll ensure that you discover your ideal ride. On top of that, our friendly sales associates will gladly provide you with additional information on all the standard and available amenities featured in each of our vehicles. That way, you can select the one that contains the gadgets you use most often. And no matter if you’ve had your eye on the MINI Cooper Clubman ALL4, the MINI Cooper S Hardtop, or anything in between, our team will guide you through every car in our showroom so that you can narrow down your selection. Once you’ve decided upon your favorite MINI vehicle, our expert financers will happily guide you through each step of your leasing or financing process. By working with you one on one, our team will gain a better understanding of your budgetary requirements. From there, we’ll design a payment plan that fits your needs so that you can drive confidently down the road. If you happen to be looking for loan opportunities, our team has built close ties to local banks and lenders so that we can secure fair terms for all our customers, no matter what your credit history may be. Plus, it’s easy to get a jump-start on your paperwork with our pre-approval application. Simply fill out your information, submit your form, and our staff will reach out to discuss your options. Every car should be supplied with a team of skilled mechanics. At our Maryland MINI Cooper service center, you’ll find exactly that. With the assistance of our trained technicians, we’ll get every job done right, be it a routine maintenance check or a complex repair. Additionally, our fully stocked parts center has all the accessories required to keep your MINI performing at its best. So, whether you plan to replace a part yourself, or would like our professionals to do it for you, feel free to browse our facility for whatever you need. At MINI of Annapolis, nothing makes us happier than when you locate the vehicle of your dreams. And with the support of our vast lineup of cars and our knowledgeable specialists, you’ll be soaring down the roads of Annapolis, Highland Beach, and Hillsmere Shores behind the wheel of an agile automobile in no time. When you’re ready for customer care excellence, stop by our showroom or contact us online for more information today!